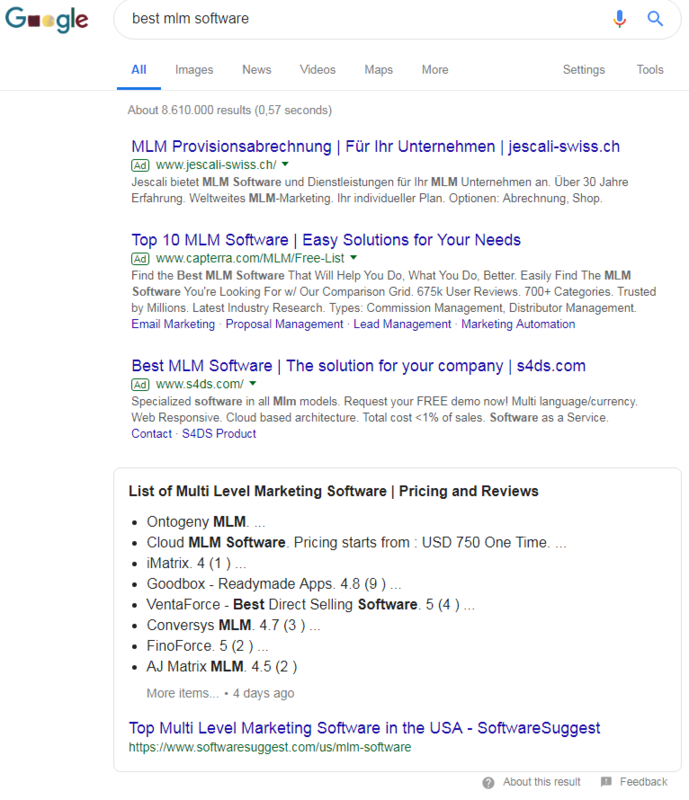 Recently, when I search for keyword "best mlm software" I got a featured snippet having "List of Multi Level Marketing Software". I noted that two of list's item were BOLD text. Didn't know why??? 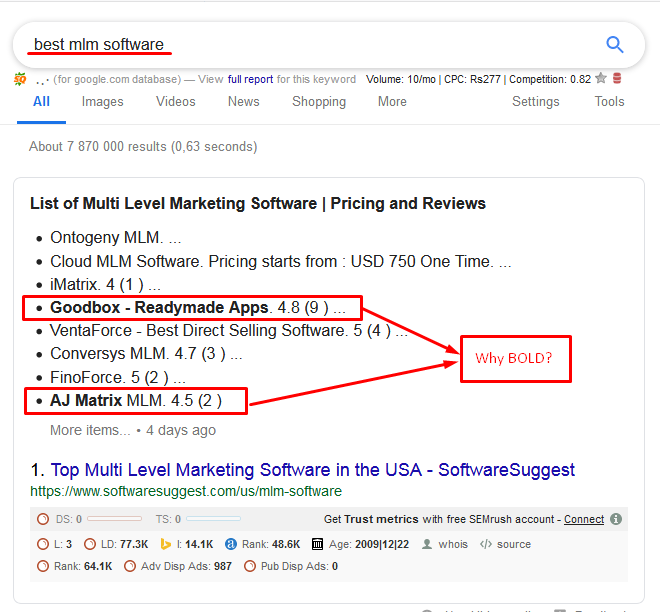 Can anyone explain to me why these two were words are BOLD even though the first item didn't have any word related to my keyword "best mlm software"..???? Not the answer you're looking for? Browse other questions tagged seo google-search-console google-search googlebot serps or ask your own question. Why are my posts omitted from Google search results when my site is listed in it? 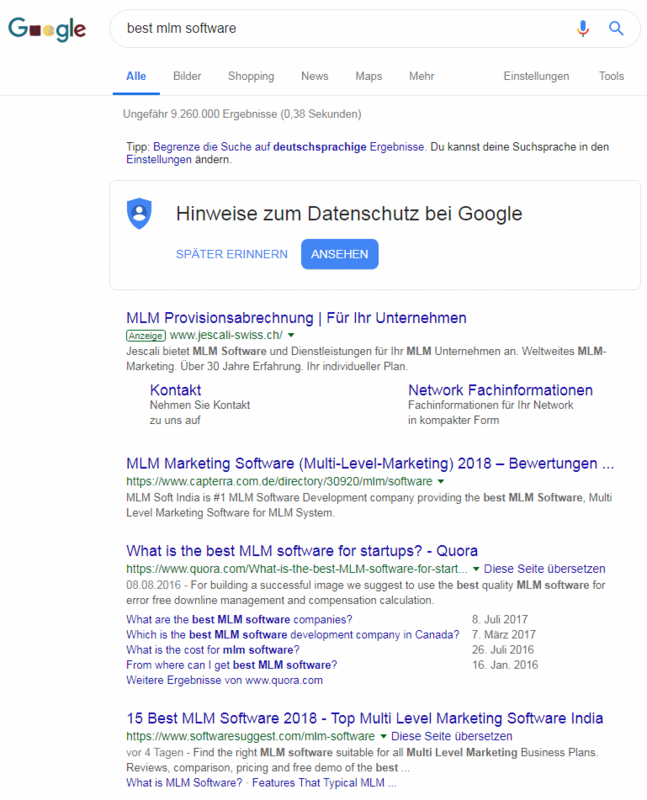 Choose which pages appear in Google search results snippet? What makes images pop up at the top of some Google web search results? Higher speed website caused adsense RPM to go zero. why? How to update the date on Google search results? Why does Google show different search results when viewed by 10 versus 100 results per page?